These are the video templates you can use for creating your own video ad. Your advertisement video will look professional! Our video maker uses the most stunning and amazing Adobe After Effects templates for making the video ads. You'll get a high definition video that will have a professional design and is certain to impress your viewers. Our video maker is an easy to use web-app. It let you see preview images while you customize the video. 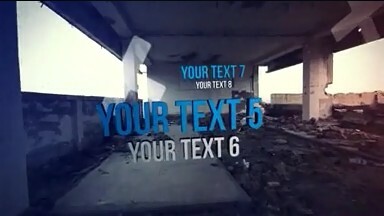 The only thing you have to do to create an amazing video is upload your graphics and write some text lines. Our powerful servers work in parallel to render the video. It's fully automated so you dont have to wait for anyone. Make a preview video at no cost, if you like it, you can buy a high definition version of the video. Included in the price is hosting of your video on our servers. This let you easily share and embed the video. Your video will be based on a high quality video template, designed by some of the worlds best video artists. We'll refund you the money if for any reason you are not happy with the video we produced. Make a test video. Try our video ad creator at no cost. We have developed an online video maker that let anyone create a professional advertisement video with little effort. The single most important thing that have made this possible, is the fact that our commercial video maker produces ad videos based on some of the best After Effects templates available. That means all the hard work of designing the video has already been done by talented video designers, and all you have to do is insert your images, and text in the placeholders. The commercial videos produced by our video ad maker are of professional quality. Until now, the only way of making these videos was by hiring a freelancer or by purchasing the template yourself and editing the video using the Adobe After Effects video software, which is very expensive and difficult to understand. So, we changed all that and now you can make these kind of videos yourself with ease, from within a web browser. What a change! Now you don't need any expensive video software or spend countless hours customizing and rendering a video template. So, our advertisement video maker is an online video service that is capable of customizing and rendering videos based on Adobe After Effects templates. This work happens on our servers and all videos are authored by us. We developed a simple web interface that let you send us your graphics and see a preview image of the video. This previewing capability is an unique feature of our video maker, that you will not see anywhere else. You can use our video maker to produce a wide range of video presentations, such as a promotional video for a business, website, event or music. We also have templates that let you make a video presentation for your family. The possibilities are endless... We have templates for any occasion and we are adding new templates every week. It is well known that business or promo videos are an incredible way to advertise and market your services or business in general. Sad to say videos for business or for promotion can be extremely expensive or incredibly time consuming if you choose to develop them by yourself or to even hire somebody to build the videos for you. What you need is a straightforward and affordable method to produce never ending business or promotion videos. MakeWebVideo.com are your one-stop shop for producing prestigious advertising and marketing videos for your business, or even for a friend. You don’t need to be a videographer whatsoever, this is due to the easy-to-use user interface, a multitude of video templates which can be suited to a wide range of purposes, for example, business promotion and online marketing for your products, and simple online video software which does all of the hard work for you. Do you need a mobile app promo video for advertising your new iPhone, iPad or Android app? Make it yourself with our super easy app video maker. 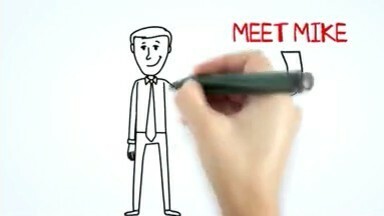 Your mobile app promo video will look very professional. Start by making a test video and if it's all good, you can buy a high quality version from just $49 USD. With us you can afford to produce an outstanding marketing video for your app! You just need to spend 1 hour or less making your video, that's it.